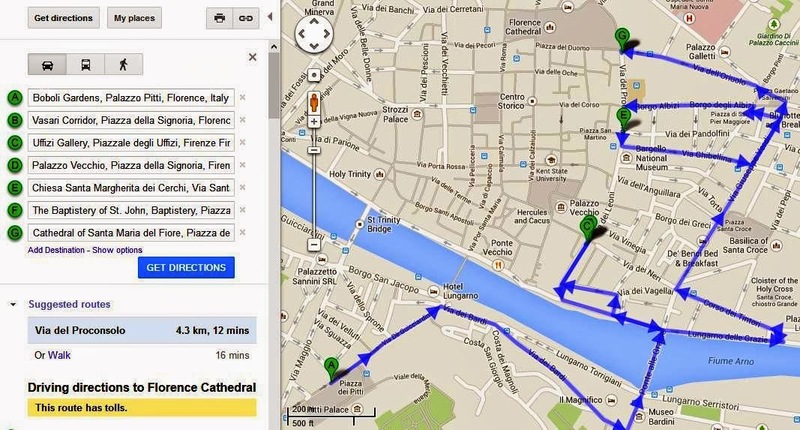 I made this post due to curiousness and fascination on Dan Brown's famous novels, on how he played my imagination while reading his book and incorporating my backpacking passion to wander them around. The adventure started in Florence, Italy last October 2013 where I headed to Pitti Palace and Boboli Gardens first going to the Vasari Corridor, to Palazzo Vecchio where I found the mysterious Dante Alighieri's Death Mask, to St. John's Baptistry and its Gate of Paradise, then to St. Margaret's Church also known as Dante's Chapel. The pursuit continues on the same month in Venice, Italy by visiting the four horses in St. Mark's Basilica and Doge's Palace. Finalizing the itinerary to Istanbul, Turkey last July 2014 in Sultanahmet's Hagia Sophia and Basilica Cistern. Inferno's film adaptation to be released on October 14, 2016 with Ron Howard as director and Tom Hanks reprising his role as Robert Langdon. Filming is due to start in April 2015. Inferno is a 2013 mystery thriller novel by renowned American author Dan Brown and the fourth book in his Robert Langdon series, following Angels & Demons, The Da Vinci Code and The Lost Symbol. This novel takes place in Florence and Venice, Italy, and Istanbul, Turkey. The plot is based on Dante Alighieri's masterpiece, the Divine Comedy, and there are many references to this work and its author. 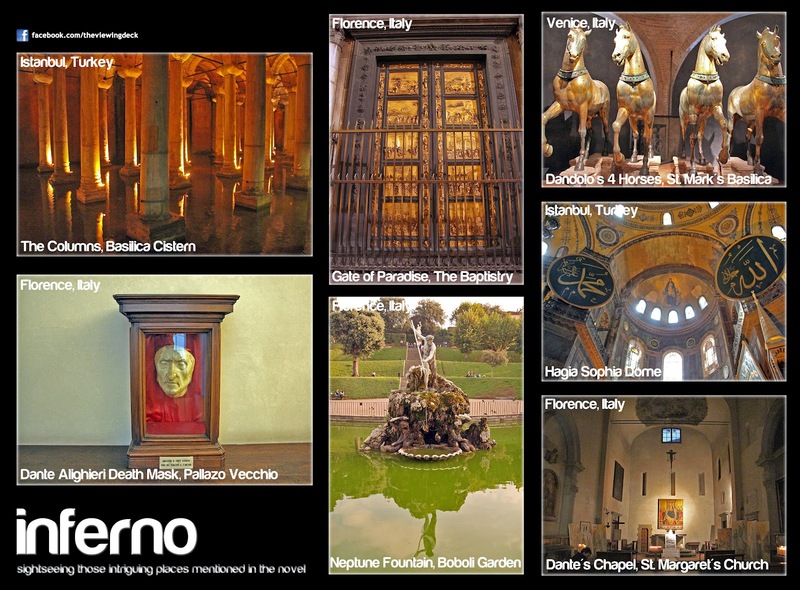 In Inferno you'll also get a scholarly look at art and history of Florence, Venice, and Istanbul.